One of the biggest spoilers of a great long ride is a “bonk”. A bonk is the point when your body simply starts to run out of fuel. When the glucose levels in your blood serum drop below normal standards your body starts to react as a way of self-preservation. Bonking does not have to signal the end of your ride or your day, these tricks will help get you back in the game and back on your bike. 1. Learn to recognize the symptoms. If you know a bonk is starting to hit you, you can most times fight it off without stopping your ride. Common symptoms or signs that a bonk is knocking at your door are feeling extreme fatigue, hunger, dizziness, light headed or cramping. 2. After recognizing a bonk is starting, you need to first dial back your effort/speed/pace, then you need to get some fuel on board. If you insist on staying with the lead pack or holding your goal pace you will never be able to digest your energy and beat that bonk. The stomach needs blood to process food into energy and if all the blood is going to your legs, your food will simply sit in your stomach, slosh around and eventually come back out the same hole it went in. 3. The best way to refuel is to first get some high glycemic simple sugars in your body. Sports drinks, cola, candy or energy gels are perfect for this. Simple sugars burn like jet fuel in your body, hot and fast. If you planned ahead and packed these in your jersey pocket (yup that is what they are for), in your bento box or saddle bag, great! If you didn’t stop at a store or gas station and get something quick. If you’re at a race or organized ride, stop at the next aid station and load up. 4. Now it’s time to take in some complex carbohydrates to give you longer lasting energy. Energy bars with a 4-1 carbohydrate to protein ratio are perfect for this. A premade sandwich can also serve as a good source of sustaining energy. Avoid consistently taking in simple sugars. It will keep you fueled for a short time, but at some point your stomach will turn against you and fight back. Remember when you were a kid and you ate all your Halloween candy in one sitting? Do you remember what happened next? Yup, we don’t want that to happen again. 5. Don’t forget the water. Your body is made up of mostly water. Without it cramping and worse yet dehydration can set in which could spell the end of your day. Be sure at least half of your bottles are filled with water and always know how much you have left. Think ahead and refill when you can, running out can be fatal. The nice thing about water is you can always spray a little bit on your face to freshen up or cool down; you can’t do that with a sports drink. Coach Kris has been a competitive presence in triathlons since 2001 completing six Ironman races. From 2004 to 2007 he was selected as a USAT All-American Honorable Mention athlete. 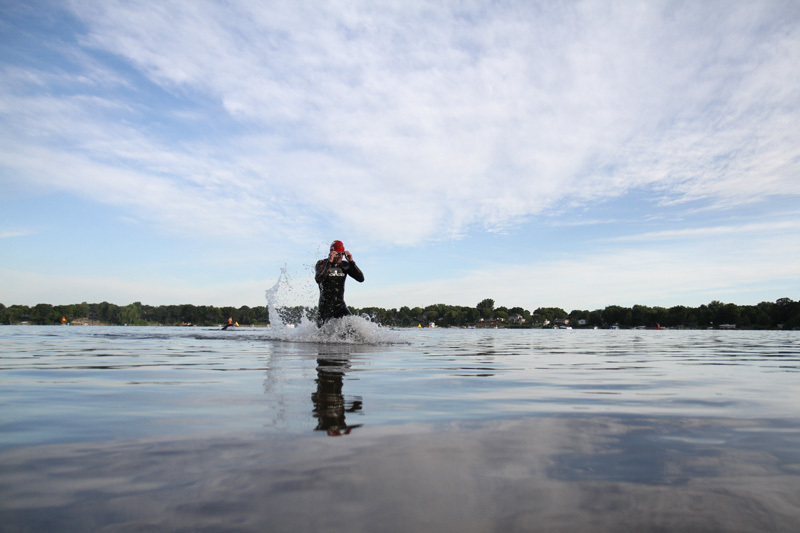 Kris is currently the Midwest Regional Chairperson for USA Triathlon and is the head coach of the Minnesota Junior Elite Team. In 2010, 2012 and 2013 Kris was selected as the Official Team Coach for Team USA by USA Triathlon and accompanied Team USA to the ITU World Championships in Budapest, Hungary, Auckland, New Zealand and London, England. In 2013 he was also coach and manager for the Team USA short Course Duathlon team in Ottawa, Canada. Kris has coached athletes ranging from professional to first time amateurs. He strives to help people achieve the ultimate balance of family and sport in their lives. Ah… wintertime. If you’ve been putting in the grueling hours it takes to get the perfect crease worn into the couch then it is likely that you don’t ski, skate, or swim. I bet you have been holding your breath, thinking “golly, I wish somebody would school me on those strange fat-tire bikes that seem to be everywhere”. Well, exhale and read on. Fat wheeled bikes have been around in one form or another for at least 17 years, probably even longer. They’re brilliant in the snow and even adequate on ice – certainly better than any other bike. In the past five years they have gotten hugely (get it?) popular. I won’t bore you with a history lesson, but in short there are more fat bikes around because they are vastly improved since the first production bikes hit the market 10 or so years ago. Most fat bikes ride pretty much like normal bikes now, and just like the road, tri, or mountain bike market there is a big range of price and spec to be had. And just like other bikes, I don’t advise picking one up at Target or Walmart. Three hundred dollars will get you a sweet drying rack for your garage. 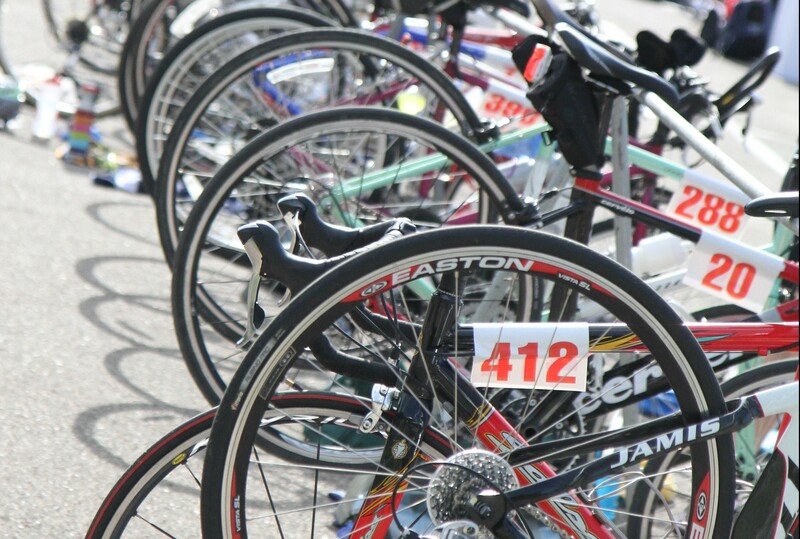 To get started without too much pain, check around for used bikes. There are often fatties listed on Craigslist and similar venues. 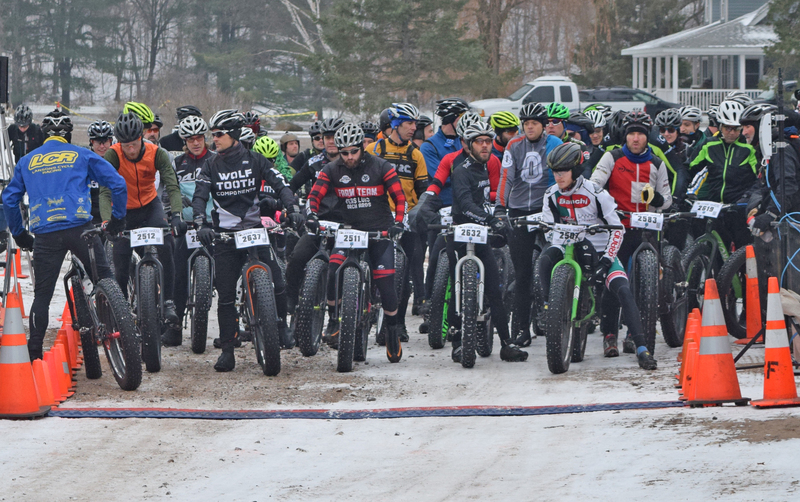 Do keep in mind that fat bikes have been evolving rapidly. Don’t get a used one with the intent of upgrading. Modern parts may not fit, and in this case modern is generally anything from 2013 and later with 190 rear spacing and 135 front spacing. Older bikes will be a great intro, but they may ride sluggishly. Even three or four year old bikes are heavier than their modern counterparts and geometry didn’t really get figured out until 2012 or so. That being said, these things are getting so popular that prices for used bikes are pretty static. When you decide to upgrade to a better model, you should be able to offload your first one easily. •	Single front chainring or double? Single is plenty for a lot of riders and in addition to simplicity the improved chainline may allow for larger tires. •	Larger tires have much greater traction in the snow and a wider range of useable tire pressure. If you’re not trying to win races, a 100mm wide rim and 5 inch tires will get you a bike that is almost impossible to fall off of, and that will do better over poorly groomed trails. 85mm rims and 4 inch tires will be much lighter and faster but at the cost of some traction. They’ll be fine if you are a good mountain biker already. •	Tubeless or tubed tire set up? Do tubeless. The decreased weight is more than worth any hassle. •	Overall weight? It is possible to get a reliable bike that weighs 23 lbs, but it will cost you. If you have the budget, do it. Seriously. If not, aim for 28 or so lbs so that you end up on a bike that rides pretty much like a regular bike, except WAY more fun and able to go places you never even considered. And, speaking of weight and budget, if you have the means I highly recommend picking up some Hed Big Deal or BFD wheels. I can’t think of any one bike upgrade ever that lets you drop 3 to 4 lbs off your bike in one fell swoop. (full disclosure, I am employed by Steve and Anne Hed). Fat bikes are the most fun thing I have ever ridden, they’re eminently useable all year, and they’re not going to fade away. Try one and find out why. Then sign up for one or more of the many races already scheduled for this winter. Get more in depth info at your local shop, or swing by fat-bike.com for some reading. Okay so you are afraid of the weeds and what might be lurking below them. Well, get over it! Chances are so is everyone else and besides, the fish are more afraid of being hit by a bunch of crazy swimmers.